ZFS Building Expansion Update - Zeeland Farm Services Inc. The hard work continues on the expansion to the ZFS offices on 84th Avenue in Zeeland Township as masons work to skin the building in brick. 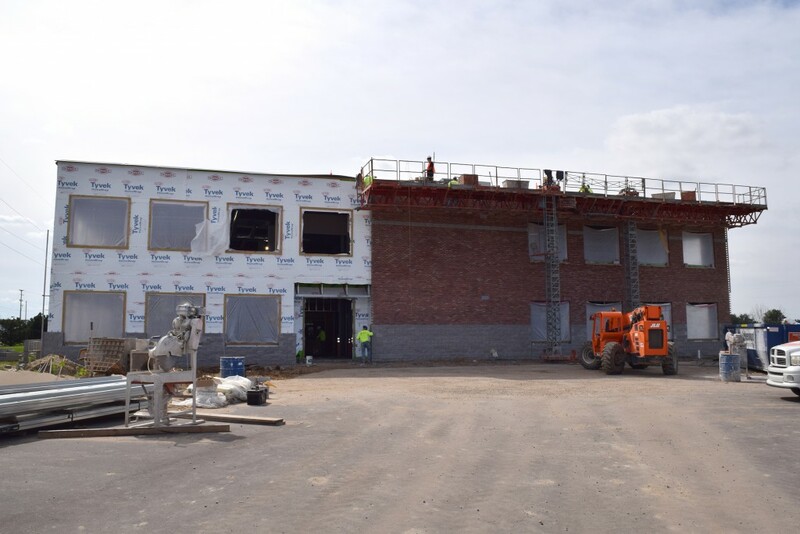 As of Thursday, Sept. 27, after three days of work, roughly half of the expansion was covered, and we anticipate the entire addition will be bricked by the first week of October. Work continues on the mechanical systems and drywallers are busy inside hanging countless feet of sheetrock. The projected completion date of the project is Dec. 15, but we’ve been told the contractors may actually finish early. We look forward to having a little more breathing room and we are also excited to have most of our employees here in Zeeland under one roof.